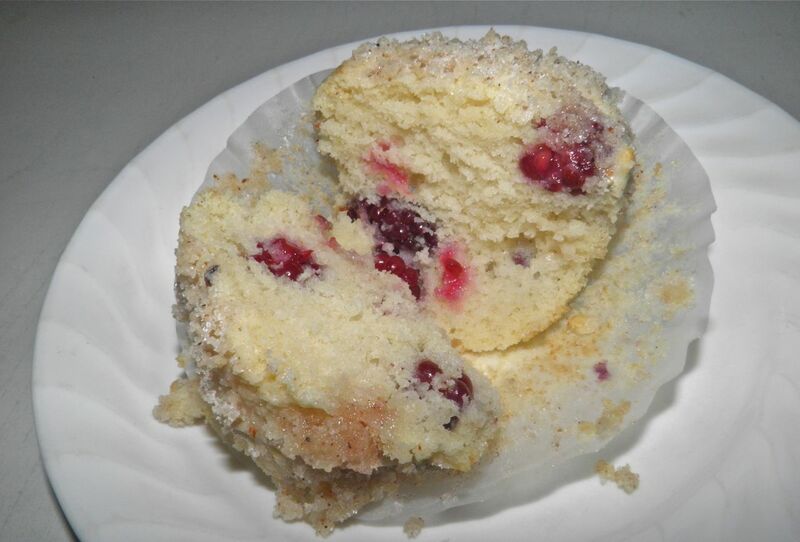 Nothing like muffins made with freshly picked berries. I was visiting my mother yesterday. Part of my duties is to mow the lawn – my bi-weekly ritual. It’s not really as boring as it may seem, because I get to check out every plant on the property. Since I'm mowing around them all I check their progress and make sure they’re healthy or if anything is in need of care. These berries were cast in a starring role in my muffins. Many of their neighbours volunteered as well. Since this the property is in the countryside we don't border some else's flat, manicured lawn. We abut the "wilds." At the borders of the lawn the area is naturalized with all manner of interesting native plants. They always give me ideas and make me think. 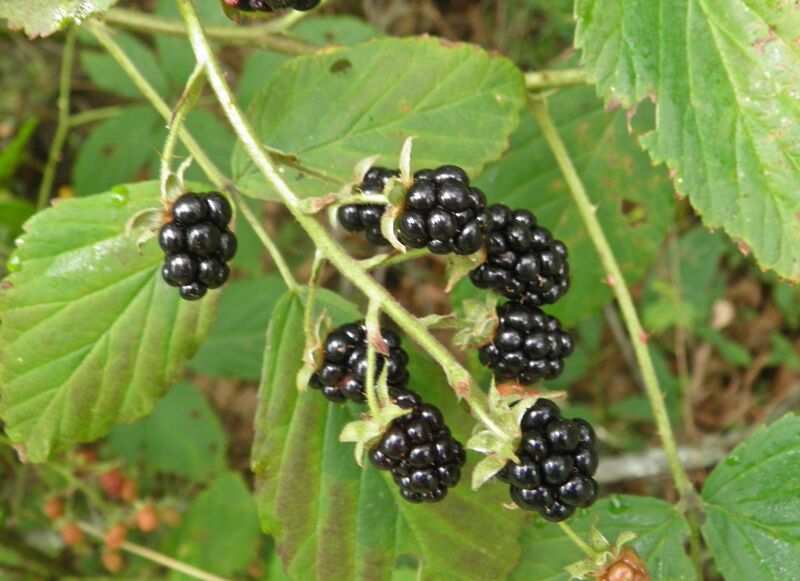 One of these plants is the blackberry. They are evil to encounter if you become caught by their thorns. But within every inconvenience in life there is a reward. In this case, the berries. As happens every year, they were doing their thing gang busters at the edge of the property. Bramble fruits (blackberries, loganberries, raspberries) are constructed in an interesting way. They are actually clusters of individual druplets that form to make what we see as a single fruit. Regardless, in my mowing adventure I discovered that the blackberries were ripening. Not only were they ripening but this was the beginning of the ripening process. What did that mean? I was able to be choosy in the fruit that I picked. Hand selected, one might say. I will also be able to pick for at least the next four weeks as well. So stay tuned for at least one more blackberry recipe in the weeks ahead. In about 8 minutes of picking I had 3 cups. The decision was then what exactly to do with them. 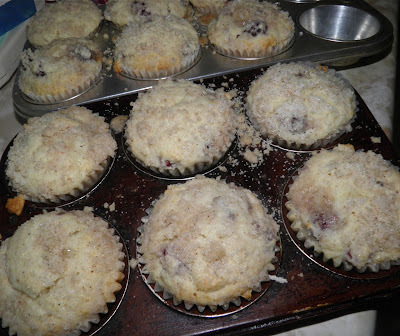 I settled on something really good – muffins. If you can’t pick (or purchase) your own blackberries, you can substitute raspberries, blueberries or strawberries, but always fresh, never frozen. These muffins are more the cake variety than a heavy breakfast-style muffins, being light and fluffy. They are amazing still slightly warm and are not adverse to being bathed with a little butter. If you need, you can freeze any you don’t want to eat over the next couple days, thaw and reheat in the microwave. They suffer few deleterious effects. just before the berries are folded in. streusel topping. I used white. 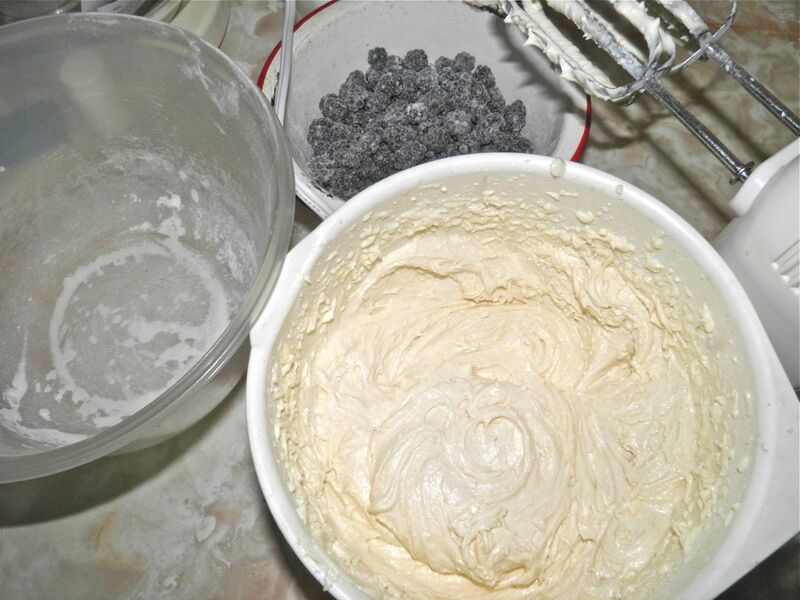 Combine the 2 cups of flour, baking powder, salt and ginger in a bowl. Set aside. In a mixing bowl, beat the butter with the 3/4 cup sugar until light and fluffy. You should hardly be able to feel any “grit” from the sugar, if any at all. This step adds lightness to the muffins. Beat in the eggs and vanilla. Next stir in half of the flour mixture, then half of the cream, the remaining flour, and then finally the last of the cream. Do not over mix. Fold in the blackberries – gently – and divide the batter evenly between the muffin cups. 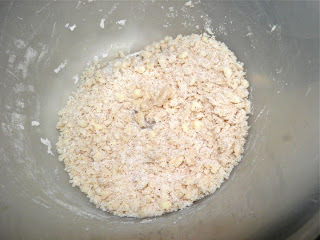 Make the streusel by combining the remaining 2 tbsp of flour with remaining 1/4 cup sugar, nutmeg and butter. Cut in with a pastry cutter until the mixture looks like coarse crumbs. Into the preheated oven they go. 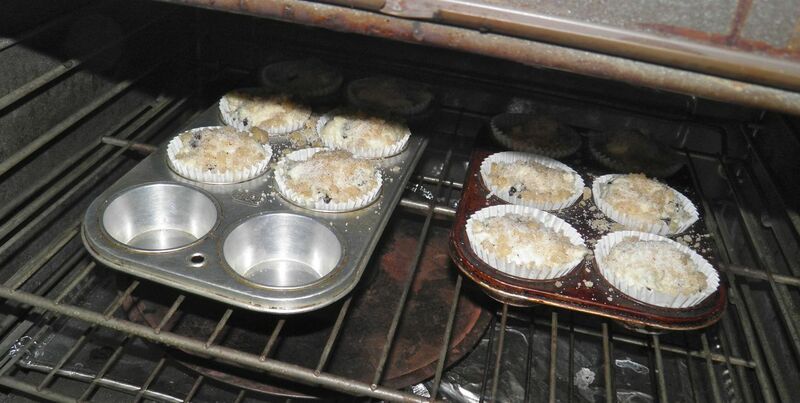 Bake for 25 minutes, or until a toothpick inserted in centre of a muffin comes out clean. Let cool in the pans on a wire rack. One dozen freshly baked muffins, with fruit you picked yourself!